The mother of Jim Carrey's tragic ex-girlfriend has promised to drop her wrongful death lawsuit if he publicly releases the results of an alleged sexual health test. Brigid Sweetman followed the actions of her estranged son-in-law, Mark Burton, this week, when she launched legal action against the actor, holding him responsible for Cathriona White's 2015 death. She accused Carrey of breaking her daughter's heart by calling her a "whore" and dumping her in 2013 when she informed the star he had given her herpes and chlamydia. They split, only to reconcile shortly afterwards, and remained together until Carrey allegedly broke off the relationship again, days before Cathriona overdosed on Ambien, Propranolol and Percocet in September, 2015 due to her fragile emotional state. 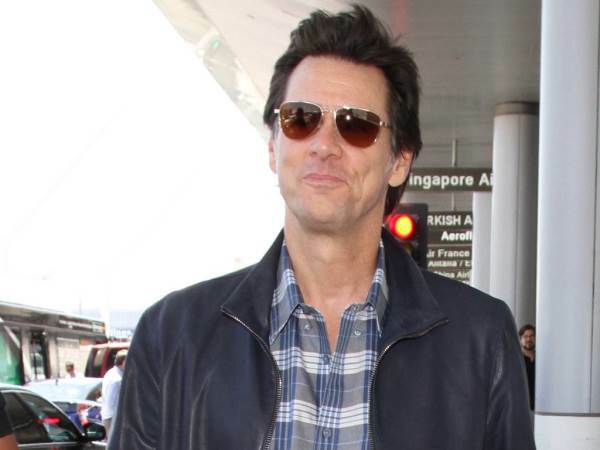 Despite the court filing, Sweetman has revealed she would be willing to drop the case if Carrey shares the results of a sexually transmitted disease (STD) test he reportedly took under an alias to prove he is clean. A statement issued to TheWrap.com reads: "Jim Carrey and his attorney have told the world that Carrey has never had STDs and he has never tested positive for STDs. They have called me and Mark 'shams' for claiming otherwise. "I am demanding they immediately release the full 2013 lab results so people can judge for themselves who is telling the truth and who is lying. If they publicly release and publish the full Quest Diagnostics lab report for the blood sample Carrey gave on January 28, 2013 at 11:40 a.m. under the name 'Jose Lopez' and if it shows Carrey did not test positive for STDs, I will immediately dismiss the case and apologize. "But if it shows differently, and it will, then Carrey and his attorney must admit they have lied to the media and the public. The public has a right to know when they have been lied to." Carrey's lawyer Martin Singer has yet to respond to Sweetman's challenge, but he dismissed the latest lawsuit allegations on Tuesday, and claimed White had previously complained about her "contentious relationship" with her mother, who she had reportedly been estranged from "for years". Burton filed his wrongful death lawsuit against Carrey last month and made similar accusations, claiming his estranged wife took her own life because she couldn't live with the shame of being "damaged goods". At the time, The Mask star released a brief statement, which read: "Is this the way a 'husband' honors the memory of his 'wife?' The real disease here is greed, shameful greed!" White was found dead in her home in Sherman Oaks, California on 28 September, 2015, following a drug overdose. Her death was officially ruled a suicide by the Los Angeles County Coroner's office in July, 2016.